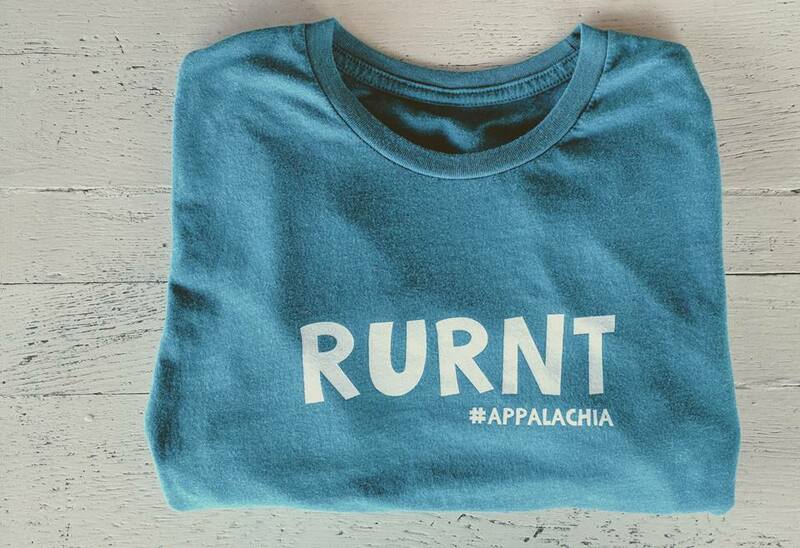 Hashtag Appalachia : Far More Than Just an Appalachian T - Shirt Company! What a time we seem to be in right now! Our Appalachian people and culture have continually had to squirm under the thumb of stereotypes and negativity for...well, for what some might say feels like an eternity. But every once in awhile it seems like the entire rest of the nation shines a big old spotlight on the region and Appalachia goes from a 'back of everyone's mind stereotype' to an 'on the forefront of the American conscience "trouble spot"' that everybody and his granny feels the need to dissect. Problem is, by the time all that dissecting is through...and the nation turns its sights elsewhere, Appalachia is left standing in a muckier pile of stereotypes and negativity than before the nation shone its spotlight. It happened with The War on Poverty in the 1960's, and it seems to be headed in that same direction now with all the analyzing of Appalachia in light of the recent elections. Since these elections, social media has been all abuzz with articles pertaining to Appalachia and what makes it tick. And the majority of the articles I have perused have shed anything but a positive light on the region, or held an accurate view of it. So the rest of America will look, poke, prod, and remark until they have had their fill. Then they'll go on their merry way with nary a bit more enlightenment, but rather a heap more incorrect and over-exaggerated concept of who and what Appalachia really is. City Boy recently changed out some of the lighting in our home. He put up these lights that are labeled 'high definition' on the packaging...but in reality they are just harsh, bright, and unflattering. 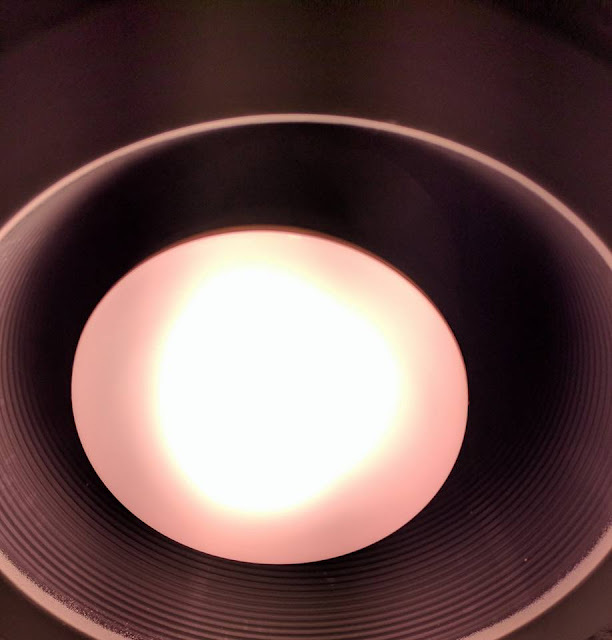 I'll tell you what, these lights would make a supermodel look bad! That spotlight the rest of the country is shining on Appalachia right now is kind of like these lights. It washes out the color and beauty from the region and culture and all folks see is the ugly. And then they parade that 'ugly' through the media until everyone feels sorry for, disgusted by, and in shock over poor Appalachia (and secretly a lot less awful about their own 'dirty laundry')! The whole thing kind of makes me think of John 1:45-46 in the Bible..."Philip findeth Nathanael, and saith unto him, We have found him, of whom Moses in the law, and the prophets, did write, Jesus of Nazareth, the son of Joseph. And Nathanael said unto him, Can there any good thing come out of Nazareth? Philip saith unto him, Come and see." Now I'm not suggesting Appalachia has anything as grand as the Messiah...but it sure has some similarities to Nazareth in that there are many good things in it and coming out of it, that the rest of the world is either unaware of or overlooking. There is amazing tourism that is continuing to grow, a vibrant and living folk culture, a renewed interest in entrepreneurship, delicious and unique cuisine that is catching positive national attention, a powerful and inspiring history, artistic talent, and an agricultural renaissance replete with an enviable array of farmer's markets, etc. And Appalachia has far more diverse, hard working, law and moral abiding, friendly and hospitable, creative, and well educated individuals than its critics or the media would have you believe. Appalachia and dysfunction are not synonymous. Appalachia is far from issue free, but Appalachia is NOT just issues! I'm a firm believer that the best thing for Appalachia, as a culture and as a people, is to build on what is already good within Appalachia...rather than the age old approach of trying to spotlight what is wrong. Why? Constantly tell someone what is wrong with them, and they will start to believe it and live in such a way. Tell someone what is good within them, and they will rise to the occasion and even surpass most expectations others have of them. This focus on the positive has the potential to create a confidence and attitude that could inspire future generations of Appalachian youth to lead, flourish, and break negative molds within their communities. Negativity can be crippling. 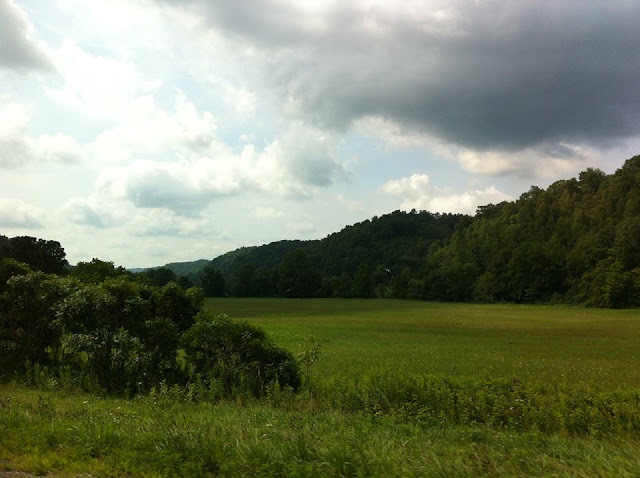 And if analyzing the negative truly solved things, of all places, Appalachia would be a virtual utopia by now! So what can we do? What can the region as a whole do, what can we who consider ourselves Appalachians, either by birth or by roots and culture, do? How can we counter all this negativity with things we know to be positive about Appalachia? I believe a good place to start is to be Philips in a world of Nathanaels. Those of us who identify as Appalachians have got to speak up. We've got to share what we believe to be good about Appalachia with the rest of the world. We've got to write the definition of Appalachia instead of allowing the ill informed to define who we are! And that is why I am so excited in this post to tell you about an Appalachian based company that is currently doing just that...speaking up and defining Appalachia in a more positive way! The company is Hashtag Appalachia and it is located in the beautiful mountain town of Pikeville, Kentucky. 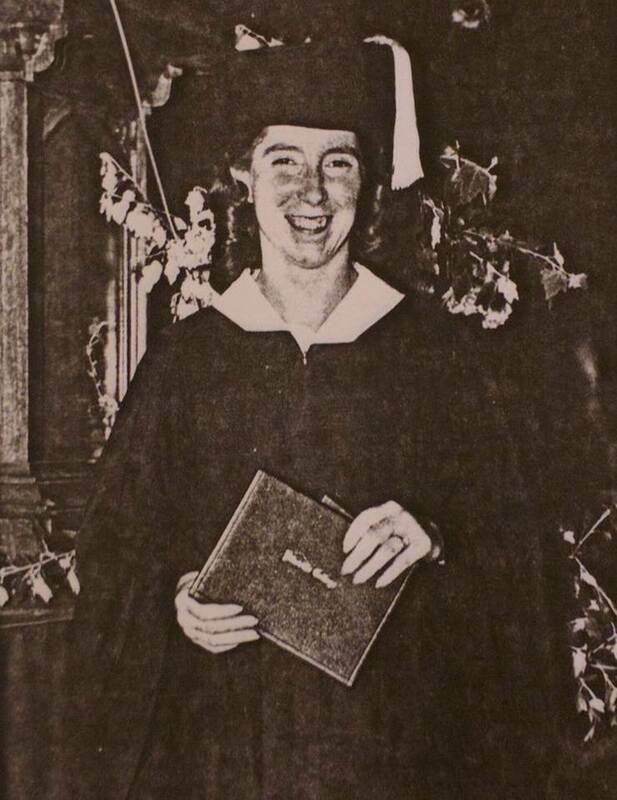 Pikeville just happens to hold a lot of history for my own family as my mother and three of her siblings went to Pikeville College (now known as the University of Pikeville). 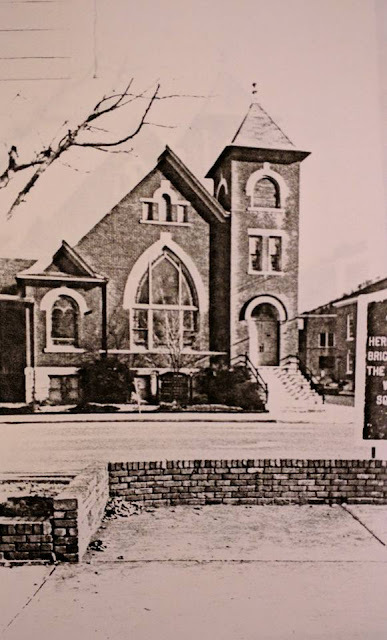 My parents even got married in Pikeville and made their first home in Belfry, around just 20 miles outside of the city of Pikeville. So I just love that Pikeville is where Hashtag Appalachia is based. It was at a chamber of commerce event where together the two original owners first heard Rusty Justice's inspiring talk about this 'hillbilly identity' and were, in turn, inspired to launch Hashtag Appalachia. Now don't you just love that? That is a cause worthy of getting on board with, folks! Hashtag Appalachia also does creative marketing videos...and if you want a couple minutes of pure genius entertainment, check out their creative marketing piece video for McGuire's Brickhouse Restaurant located in Prestonsburg, Kentucky here. I enjoyed it more than most Super Bowl commercials! And if watching it gets you craving one of those burgers from McGuire's Brickhouse, the restaurant's website is here. Hashtag Appalachia's owner has even worked with educating high school students in design, and so has a passion for helping the youth of Appalachia as well. Now back to those t-shirts...if you'd like to check out Hashtag Appalachia's selection of Appalachian t-shirts you can order online, head over to their website here. 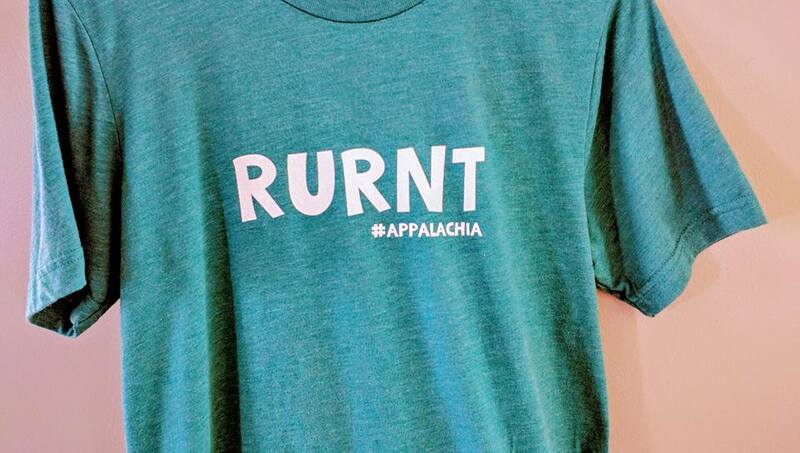 Their shirt selections range from simple ones that state "#appalachia" to ones that contain witty Appalachian words and sayings including "Nary," "Over Yonder," "Pidlin," "Purdy," and "Rurnt." You can order any of their shirts in a wide variety of colors. 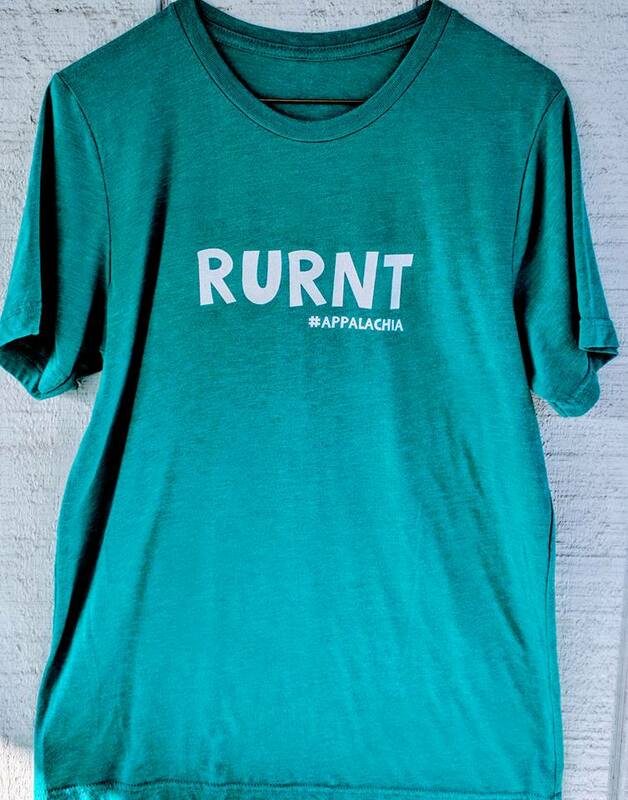 Hashtag Appalachia sent me one of their "Rurnt" saying shirts in an awesome shade of teal and I'm loving it! If you like a soft and comfortable t-shirt, Hashtag Appalachia's selection will be right up your alley! Nothing worse than a scratchy and uncomfortable t-shirt, and this shirt is far from that! But I have to admit that I really just love it the most for the saying. 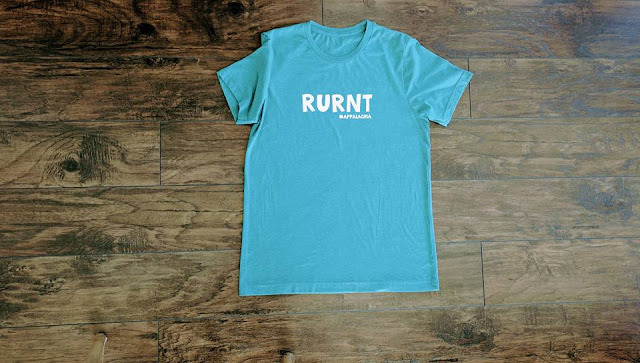 'Cause I guess I am kind of "rurnt!" 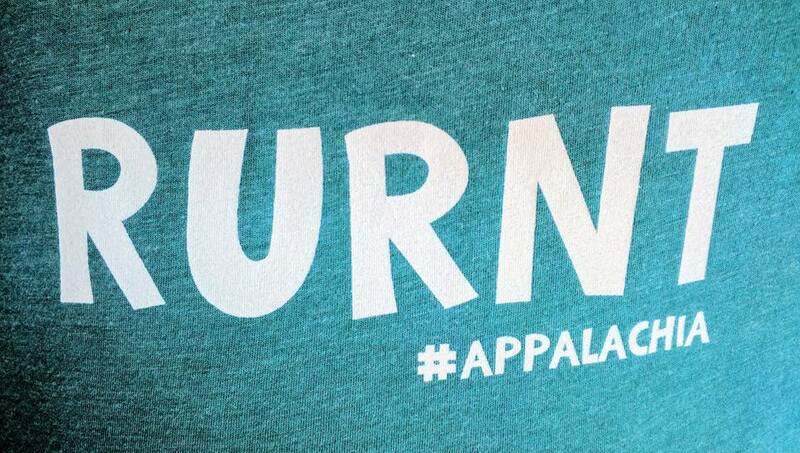 When you purchase a t-shirt from Hashtag Appalachia, you are purchasing more than just clothing. You are helping support a grassroots mountain movement to dissipate stereotypes, fight distortions with truth, and inspire Appalachian youth to thrive and succeed while remaining true to their cultural identity. Once more, here is the link to Hashtag Appalachia's site: https://hashtagappalachia.com/. I hope this post has inspired you to have pride in your own Appalachian roots, and has encouraged you to be "vocal" in some way about the positives that many of you know exist in the Appalachian culture and region. Go buy a t-shirt from Hashtag Appalachia and wear it proudly, post something positive about Appalachia on social media, speak up for Appalachia when you hear someone stereotyping the culture, etc. Whatever you choose to do, just remember that the 'Nathanaels' of the world are in need of a 'Philip' to tell them to "come and see" all the good that Appalachia has to offer. They'll never know unless someone lets them know. And in the end they may even thank you for it!